Chess is a sport never to be underestimated. Although some people do not consider this game to be a sport, it is great exercise for the brain. Chess today has the same characteristics and style as the game that was played in England during the Renaissance. Basically, chess is a battle between two armies. It was at first considered a game for nobility. Literature reflected it as a metaphor for moral behavior. The different chess pieces were linked to the different classes of people. The design of the chess pieces and how they must move on the board is derived from proper behavior and decorum. For instance, knights in chess were designed as horses and behave like a knight who attacks the opponents to defend the king. 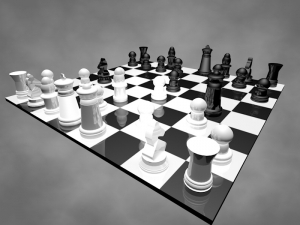 Chess is a very challenging game because all players must employ simultaneous strategies, planning – how to get the best long-term advantages over their opponents, and tactics – making short-term moves – to win. Many chess masters and prodigies often memorize hundreds of patterns for moves that have been proven to be successful through extensive practice. An average player can create and invent moves and strategies. Whose brain would not be stimulated in every highly engaging battle of wits to determine who will be able to checkmate the other player’s king first?